This page contains a few of the larger photographs which contain vessels of the Northern Steam Ship Company. In particular, it features some photographs of a group of vessels at Puke Wharf at Paeroa. If you can help with the identification of these vessels, please Email us. "Discharging Paeroa cargo both hatches." 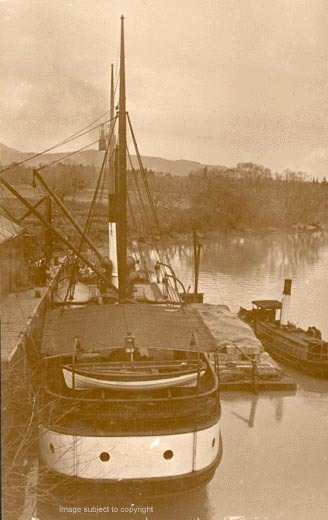 The WAIMARIE working at Puke Wharf, Paeroa, with barges and steam tug alongside. The vessels are believed to be Left to Right tug ROTOKOHU, barge WAIHOU, tug LION, steamer WAIMARIE and an unidentified barge. Photograph: New Zealand Maritime Museum - Bill Laxon loan. 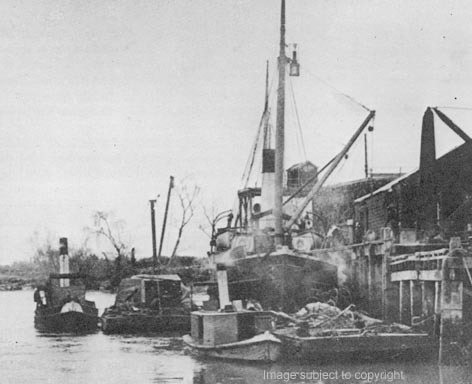 The vessels are believed to be Left to Right steamer WAIMARIE barge WAIHOU and tug ROTOKOHU. Photograph: New Zealand Maritime Museum, NSS Co Scrapbook. The photograph is from the Northern Steam Ship Company Scrapbook. The caption for the photograph is: "TANIWHA. at Paeroa. Tug alongside ROTOKOHU. Background paddle tug KOPU". 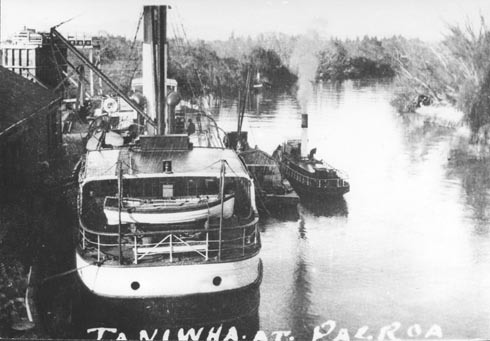 However, the back of the photograph says: "TANIWHA at Paeroa with the NSS Co. tug LION." Above: Photograph from the Northern Steam Ship Company Scrapbook at NZ National Maritime Museum. 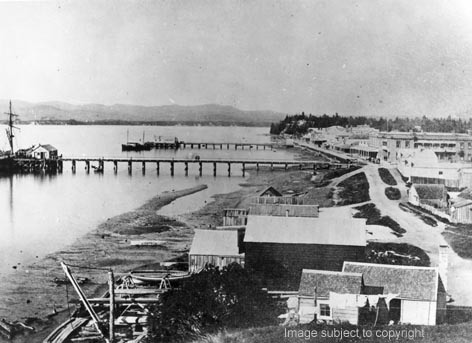 Caption for the photograph is: Victoria Wharf, Tauranga, 1883. S.S. WELLINGTON and S.S. KATIKATI.